To better assist in diagnosing Language and Coded Character Set Identifier (CCSID) related issues we need to gather information about your current settings. Use the steps that follow to capture four different types of settings information. Once the Display Data Area opens, create a print screen (use Alt-Print Screen to copy the screen and then paste into a Word document with Ctrl-V). 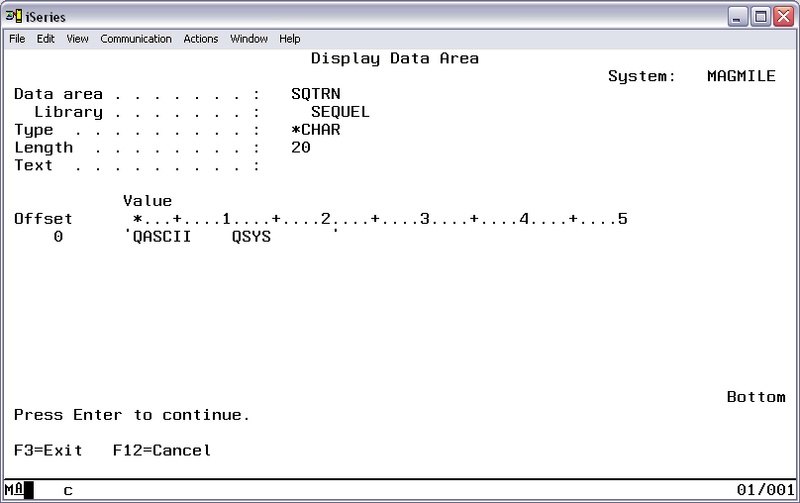 Once the Display Data Area opens, use the same method described above to create a print screen. 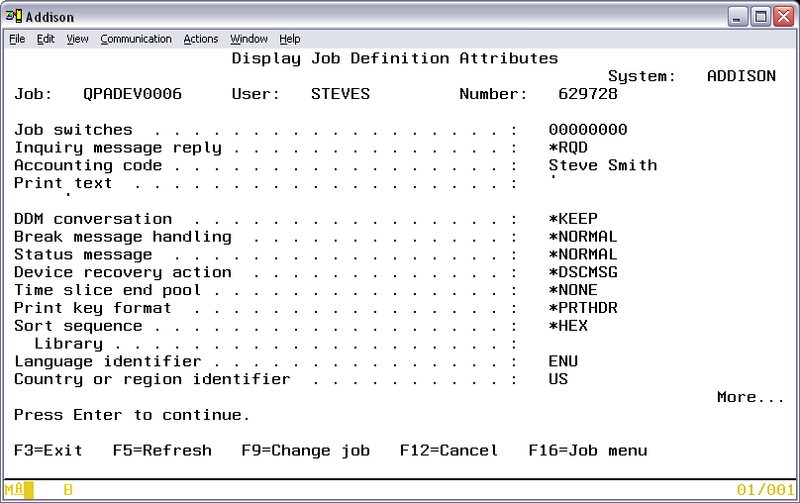 Select option 2 from the Work with Job menu to open the Display Job Definition Attributes screen shown at left. Page down to the second page and capture the Language ID and Country or region ID values. Page down to the third page and capture the Coded character set ID. Open IBM i Access for Windows Properties\Language tab. Create a print screen of this panel. 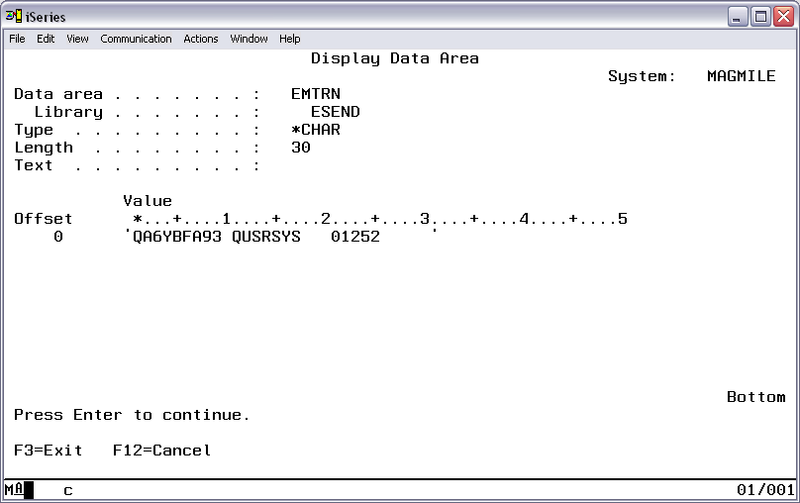 Create a print screen of the Configure panel.